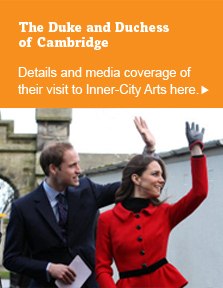 Brody PR managed the media for the visit by the Duke and Duchess of Cambridge to Inner-City Arts, a nonprofit arts education organization on Skid Row in Los Angeles. With only three weeks notice, we turned what could have been a media circus into a well-orchestrated opportunity for Inner-City Arts to capture millions and millions of media impressions. Fielding hundreds of media requests from around the world, we garnered approximately 1,380 broadcast hits, more than 2,500 print and online hits, and a 700% increase in website hits. People Magazine told us, "From a media perspective, Inner-City Arts was hands down the best organized event of the entire North American tour." Inner-City Arts emerged from this once-in-a-lifetime opportunity well positioned to leverage the worldwide attention into its fundraising activities, and securing strategic partnerships. The broadcast hits in North America alone totaled $13 million in equivalent television advertising dollars.